The greatest lavender fragrance blended with soothing oils. Great for aromatherapy relaxation. Let your recipients relax and destress by soaking in a tub of creamy, buttery froth. Hand made in the USA by bespoke soap artisans, the soap is made of organic shea butter & essential oils keep every inch of skin soft and hydrated. 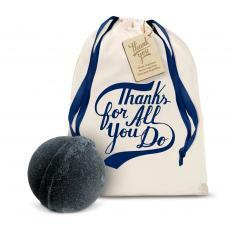 Your soap is gifted in a beautiful canvas gift bag featuring a Successories motivational or appreciation message of your choice.